Dianna Agron Cosmopolitan interview pg. 1. 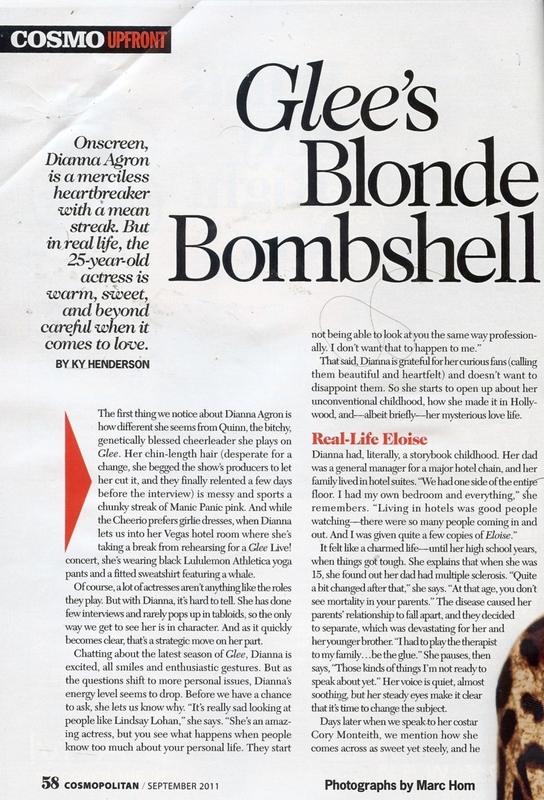 Dianna Agron's Cosmopolitan interview pg 1 of 3. Pg. 2 is siguiente image. Page 3 is:. HD Wallpaper and background images in the Dianna Agron club tagged: dianna agron glee dianna cosmopolitan magazine interview 2011. This Dianna Agron photo might contain periódico, papel, revista, tabloide, trapo, animado, cómic, manga, historieta, anime, and dibujos animados.